Larry OG is the famed Larry OG clone coming from Orange County (OC), California. This was a famous cut that was originally given to Larry after the clone came from Tahoe in NorCal. Cali Connection outcrossed that for male/female seeds with the SFV OG Kush IBL male. The female seeds are Larry OG crossed with the Tahoe OG S1 reversed male. Plant produces very,very large yielding OG buds, pure lemon pinesol, kersone fragrance, great tasting, great hitting high THC. 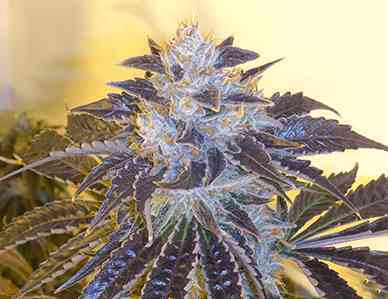 Has a thick stem with a good plant structure more of a solid Indica type hybrid. Mutliple Hybrid Cannabis Cup award winner. She is a champ, 65-70 day flowering time.